A San Francisco-born lawyer, Democrat Darrell Steinberg was elected president pro tempore of the Senate in August 2008. He was termed out of the Senate in 2014. Steinberg earned his bachelor’s degree in economics from UCLA in 1981 before getting his juris doctor at University of California, Davis Law School in 1984. Steinberg went to work for the California State Employees Association as an employee rights attorney after law school and stayed with them for 10 years. He was as an administrative law judge and mediator from 1994-1998 while also practicing law at Mackenroth, Ryan and Fong in Sacramento from 1996-1998. Steinberg’s first exposure to politics was on the local level, when he served on the Sacramento City Council from 1992 to 1998. There, he helped launch START, one of the most successful after-school programs in the country. During that period he also sat on the boards of the Sacramento Employment and Training Agency, the Sacramento Metro Air Quality Management District, and Regional Transit. Steinberg was elected to the Assembly in 1998 and represented the 9th District for three terms, co-authoring Proposition 63, the Mental Health Initiative. Prop. 63 now generates more than $1 billion a year in state and federal funds for California’s mental health programs by imposing a 1% tax on millionaires. He sponsored other legislation that focused on improving California’s foster care system and public schools in areas blighted by poverty. He joined a law firm, Hanson, Bridgett, Marcus, Vlahos and Rudy (now Hanson Bridgett LLP), when term limits forced him out of the Assembly in 2004, but resigned from that partnership after being elected to the Senate in 2006. Steinberg represents the 6th District, which includes the state capital, Sacramento. During his first term, he chaired the Natural Resources and Water Committee and the Select Committee on High School Graduation. His legislation there includes SB 375, which links land use decisions in transportation and housing to greenhouse gas reduction goals. 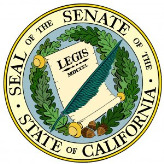 He serves on the Public Safety and the Appropriations Committees, as well as chairing the Rules Committee, the Select Committee on Autism and Related Disorders, and the Protection of Lake Tahoe Joint Committee. Apart from the Legislature, Steinberg is an appointee to the Mental Health Services Act Oversight and Accountability Commission formed by Prop. 63. He is a member of the Jewish Community Relations Council and board president of the Capital Unity Council. Steinberg and his wife, Julie, have a daughter, Jordana, and a son, Ari.